I am so excited to brag about these amazing Campbell’s Skillet Sauces that my family loves! 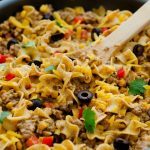 They are so delicious and such a time-saver when I need to get dinner on the table! 🙂 I know that we can agree that we all live real lives that are busy and full of responsibilities. During the hectic weekdays, we all want easy and convenient dinners; and that’s why I adore these sauce packets from Campbell’s. 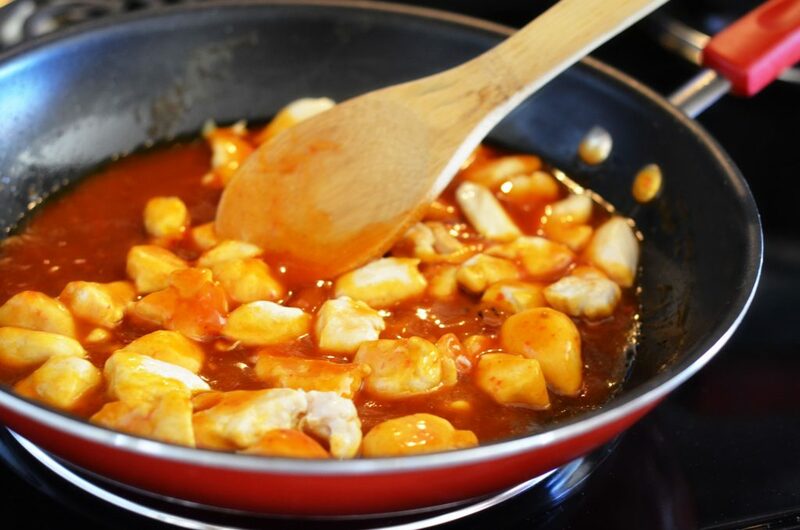 The Campbell’s Skillet Sweet & Sour Chicken is one of my family’s favorites! 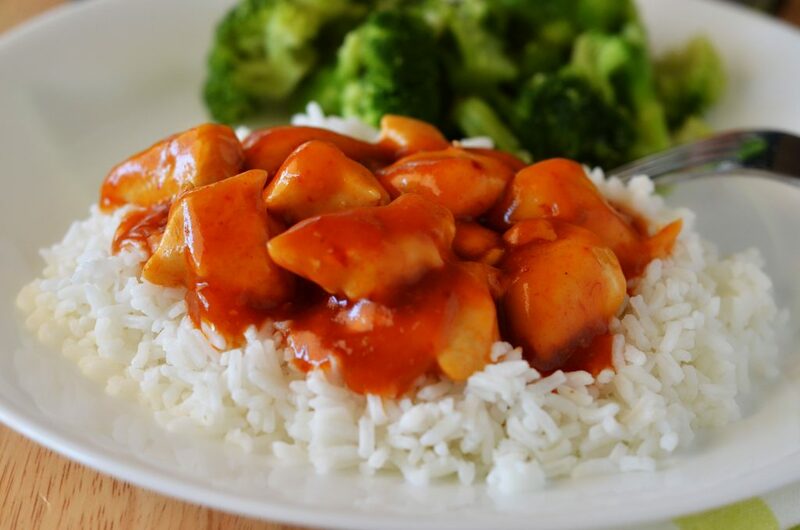 It is packed with yummy sweet and sour flavors that make the tender chicken shine! I love that everything is prepared in just one skillet (yay for easy clean-up!) and that it really is so easy to make. This dish is always a huge success with my little family. Simple, quick and loaded with amazing flavor. We enjoy this over a bed of rice and a vegetable on the side. It’s a perfect family-friendly real dinner! Here’s to getting dinner on the table fast and painlessly. 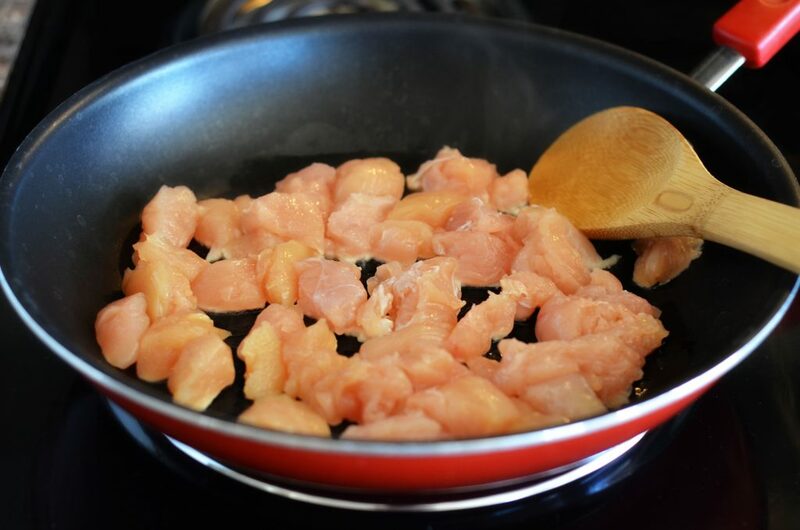 Start by cutting up 1 pound of chicken breasts into small cubes. Heat vegetable oil in a large non-stick skillet over medium-high heat. 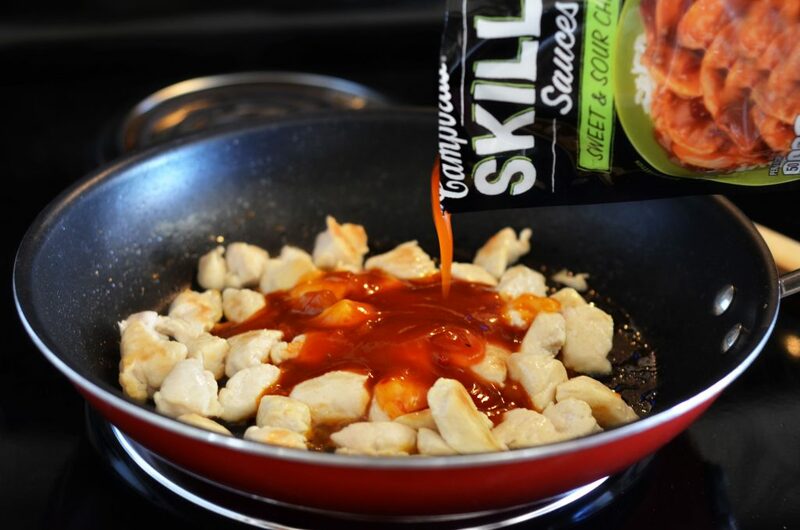 Stir in the glorious Sweet and Sour Campbell’s skillet sauce and heat to a boil. Reduce heat to low. Cover and cook 5 minutes, or until chicken is cooked through. Easy peasy! This chicken is outstanding served over rice! 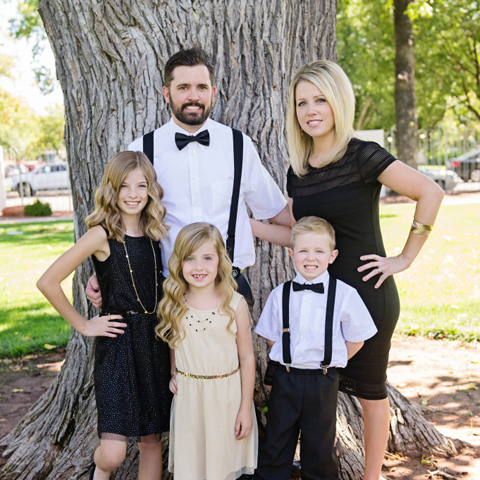 How will you use Campbell Sauces to make a wonderful family dinner? Tell me in the comments and you will be entered to win a $100 Target Gift Card! This sweepstakes runs from 9/24/2014-10/30/2014. I can’t wait to try these! We love different sauces and spices but often with sports don’t have time to gather all the items for a real meal now we can precook the chicken add the sauce and eat a real dinner on game nights! I don’t work or have children but I have physical issues so having an easy way to fix dinner for my husband and I will be wonderful. I like that there are different flavors to choose from. 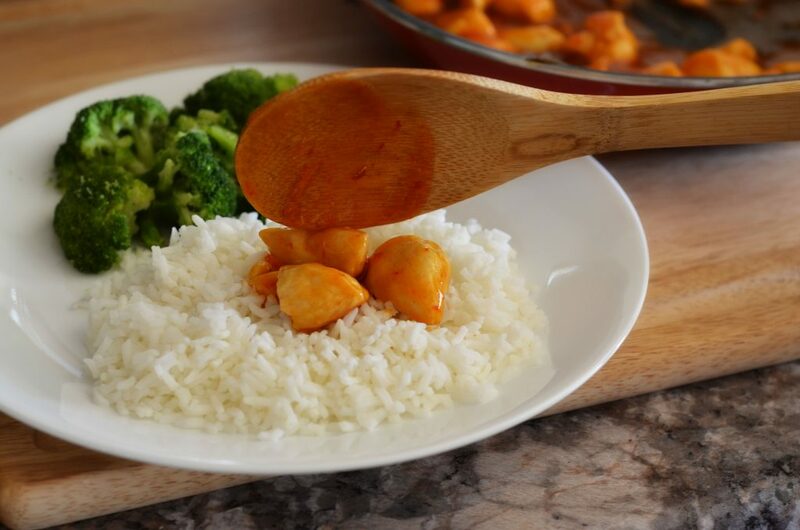 Sweet and sour chicken is a favorite of ours and means we wouldn’t have to go out to get some or buy the expensive boxed products available in the frozen section of the grocery store. Besides using a vegetable for a side, I would use fruit in its own juice from a jar and would add pineapple to the mix. Love sweet and sour chicken. Would serve it over rice , mix chicken with frozen mixed vegetables. I am always looking for delicious & easy meal ideas for my family. After reading this post, I will be picking up a few of the Campbell’s Skillet Sauces to add some new flavors and excitement to our weekly menu! I would try the chicken masala over rice with a vegetable. I simply adored your original recipe for sweet and sour baked chicken. The link brought me to this post. I’d like to try something like this, with 4 other mouths to feed, I need easy! I’d probably utilize this product By doing something Similar to your dinner shown, only adding a bit more spice to it. I’d serve it over fried rice with some stir fried veggies on the side. YUM! I have a few of these I want to try! 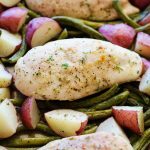 I always have chicken breast and usually need a quick dinner for myself + mom & brother + lunch for tomorrow after a long day in the office, the gym, and errands after work! I love shrimp so I would make shrimp scampi with the shrimp scampi sauce. I love anything that makes dinner time easier and these sauces would definitely do the trick for my family. It’s a whole lot easier than starting sauce from scratch and it gives me more time with my family. I will use Campbell’s marsala sauce to make chicken marsala for a wonderful family dinner. I would use Campbell Sauces to make a wonderful family sit fry dinner with chicken and broccoli. Sounds so yummy! 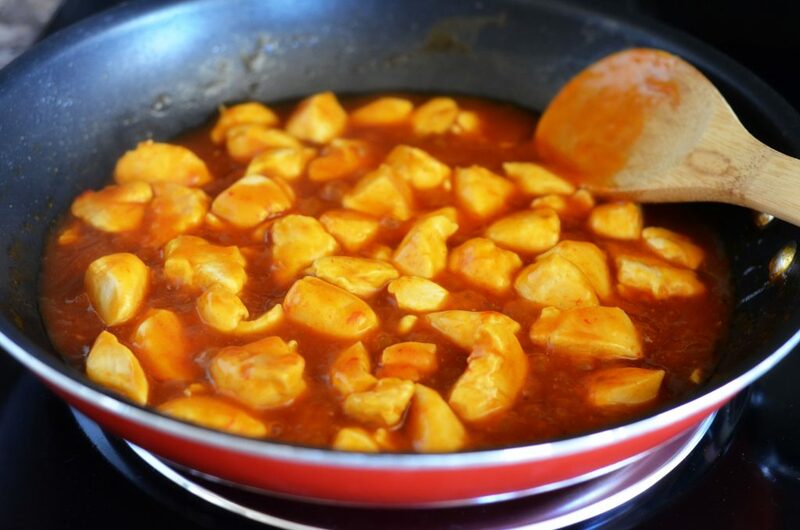 I would like to try using the Thai Curry Sauce to make a quick chicken dish. I would make creamy parmesan chicken with angel hair pasta. I would use one of these sauces for a meal in the crock pot. Makes it quick and easy! I’d try the Tavern Style Sauce on a pot roast with carrots, onions and potatoes. I will use the Chicken Marsala sauce to make a nice chicken dinner served over Jasmine Rice! I’d love to try the chicken marsala sauce as a crock pot meal! Sounds yummy and easy! I would use one for a busy night! I will use the Tavern Style Potroast Slower Cooker Sauce to make a delicious roast with carrots and potatoes for my family. I will use the sweet and sour with some chicken and then add rice and steamed veggies . I love all the sauces ! We are so busy on weekdays with homework and after school sports that I’m always picking up fast food. 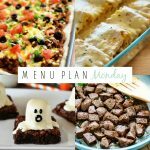 These look so fast and easy that we could have a great family dinner, just add meat and veggies! 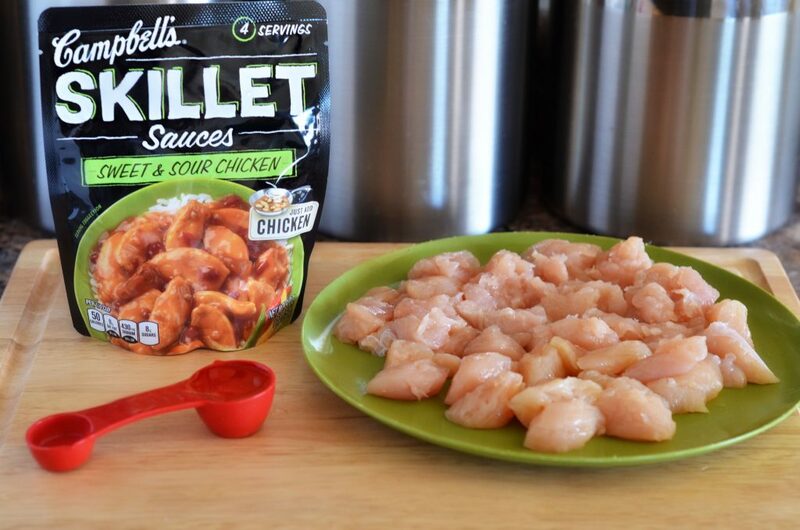 I would use Campbell’s Skillet Sauces to make sesame chicken. I’m going to try the Chicken Marsala. Love how all the gourmet preparation has already been done for me! i like the shrimp sauce option- over angel hair pasta- its SOOO good 🙂 try it out ! ! ! I would love to make beef tips and gravy. Campbell’s Skillet Sauces give me the chance to make my family a wonderful meal using flavors I don’t normally incorporate into my meals, like the Chicken Marsala. I love quick and easy dinners–that are also delicious. I’d like to try the Scampi skillet sauce with sautéed shrimp and serve it over lemony angel hair pasta. Thank you! I would try the sweet and sour sauce. I would add pineapple, snap peas, and maraschino cherries to it along with the chicken! The Slow-Cooked Hawaiian Meatballs using the Campbell’s Hawaiian Pork Slow Cooker Sauce sounds great! I’d use it to make pulled pork sandwiches. We always have chicken on hand. 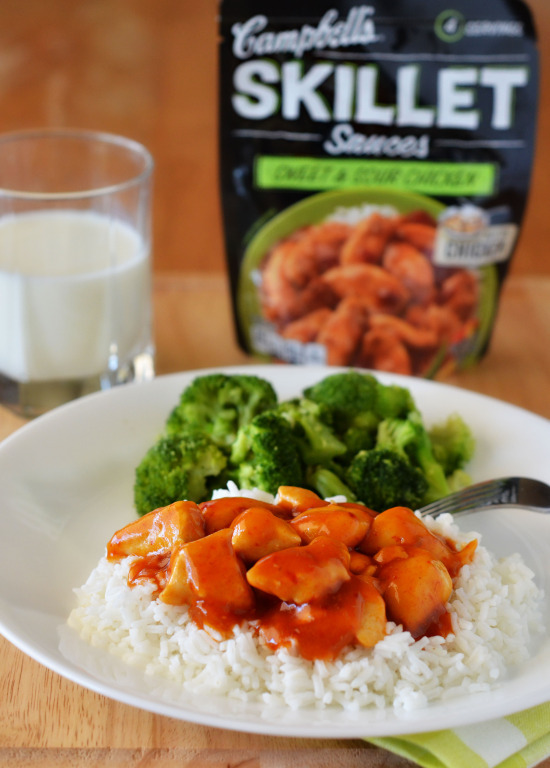 I’d use the toasted sesame skillet sauce with sauteed chicken and veggies and serve it as stir fry. Always looking for something new to create a sauce quickly. Wouldn’t be this particular flavor as the husband doesn’t like sweet and sour! I can’t wait to try these to make a new Crock-Pot meal! I would use these sauces to come up with all kinds of new meal ideas. I like the sweet and sour idea with chicken and I also like the Korean BBQ one for pork or beef. Making me hungry already! 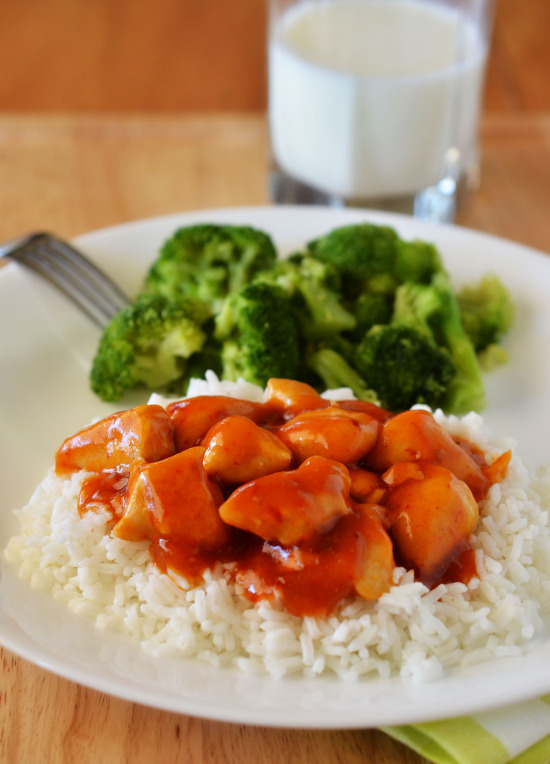 Sweet and Sour Chicken is one of our favorite meals. This sauce would make the dish so much easier, I’ll be trying it next week! I’d keep a few on hand for quick dinners on busy days! The sweet and sour chicken sounds awesome. I’d try the sesame Chicken! The CHicken Marsala looks great! I would make a chicken salad with the toasted sesame. 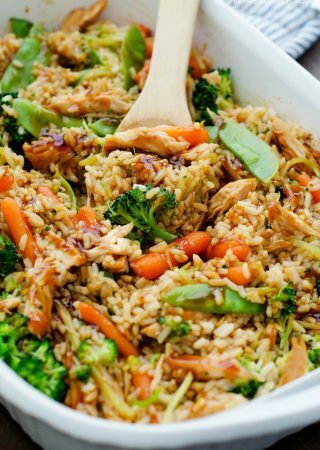 I’d like to try making the slow cooker chicken, broccoli, and rice dinner. Looks delicious! I was checking out your blog and this recipe looked so good! I am always in search of quick recipes, as well as, ones that take longer and I can prepare on my days off. I want to try these sauces I didn’t even know existed. I don’t have a blog and don’t use Twitter but I would still like to enter. Thanks for the chance! I haven’t seen these yet at the store but I am sure to make a pulled pork dish from one of them! I’d like to use the Sweet & Sour sauce but perhaps use pork instead of chicken. I will try them with my stir fry chicken recipes. I would love to try these to spice up my enchilada recipe. I would make Sweet and Sour pork over rice for a wonderful family meal that everyone will eat. I’ll use Campbell Sauces to make a wonderful family dinner by adding the sauce to my slow cooker. I love the variety and the ease of preparation. I’d like to use this recipe! I would make shepherd’s pie! These all look so good! I would love to try the sweet teriyaki sauce over chicken breasts! My Wife and I had this last night. We used dark meat chicken (boneless thighs, cubed) for more flavor. It was delicious, quick, and easy. This would also work great for sweet and sour shrimp our pork. 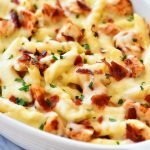 i tried the chicken and cheese oven it was divine, my husband and kids thought it was awesome also. Will absolutely try other ones. Thanks for a great meal. That’s what Cambells skillet sauses are mm mm Good!